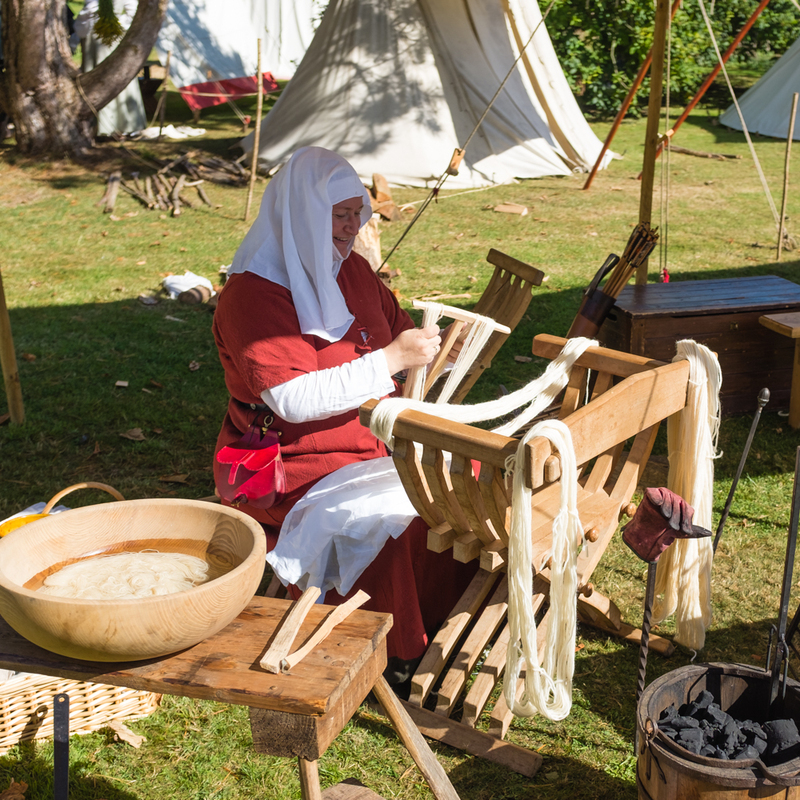 The MSS Living History Encampment is the window into the past where the public can observe life as it was over 500 years ago. 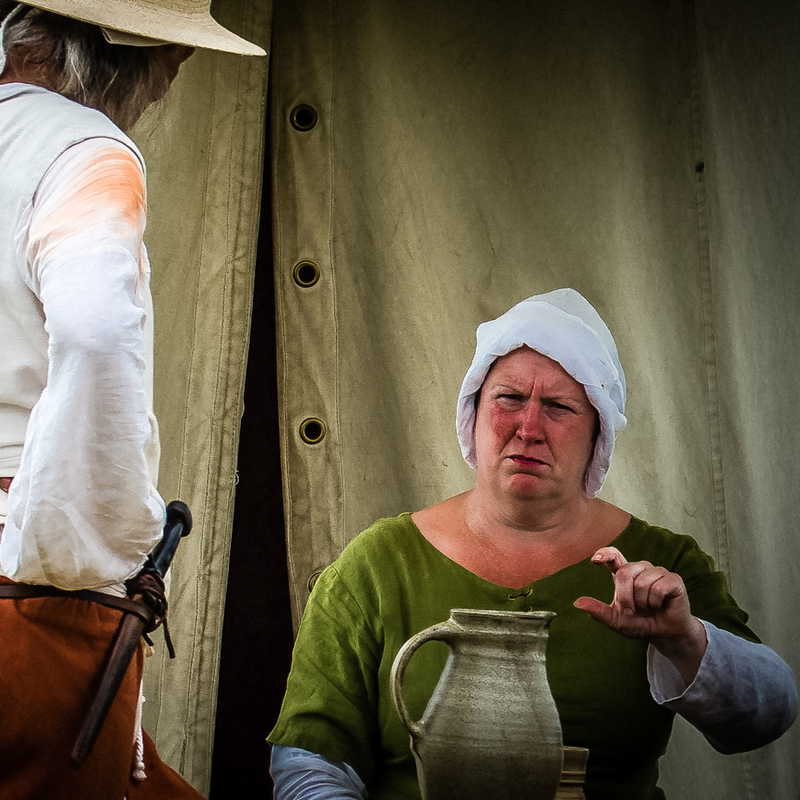 MSS members recreate the sights, sounds & smells of a vanished age of chivalry, combat and intrigue: to educate, illuminate and entertain visitors of all ages. 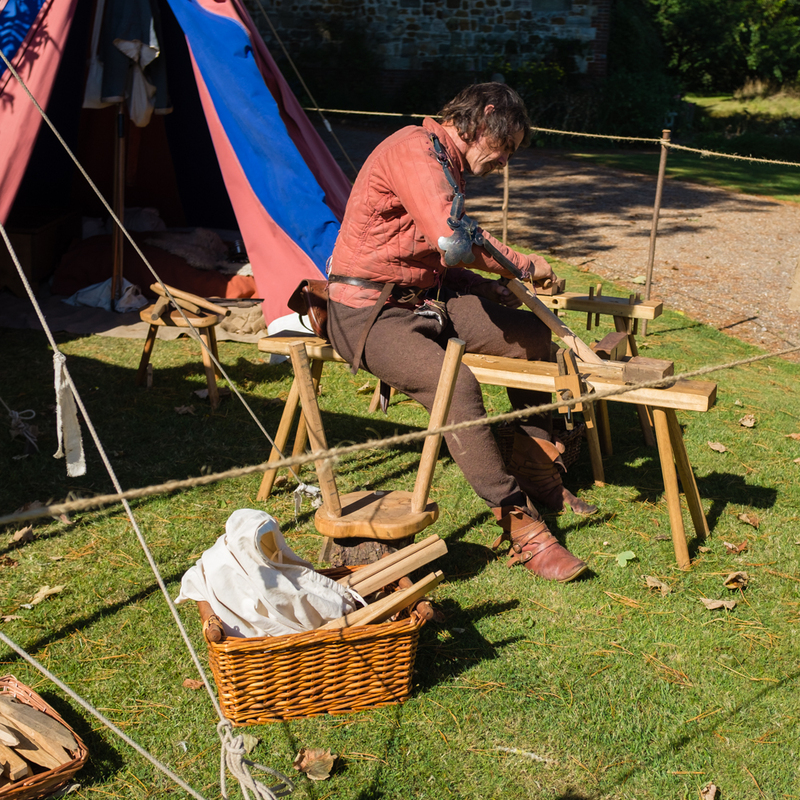 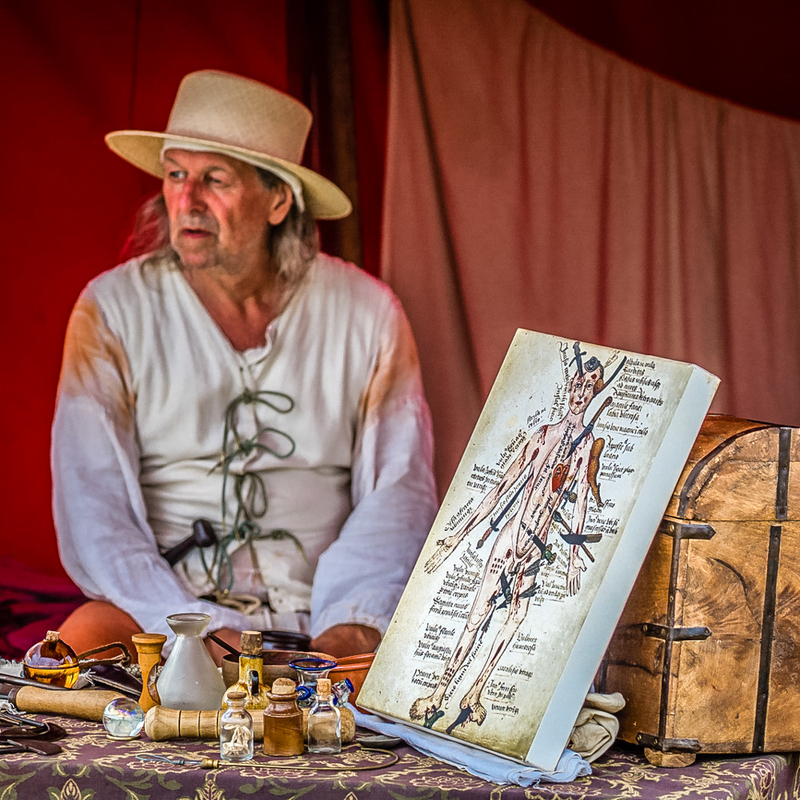 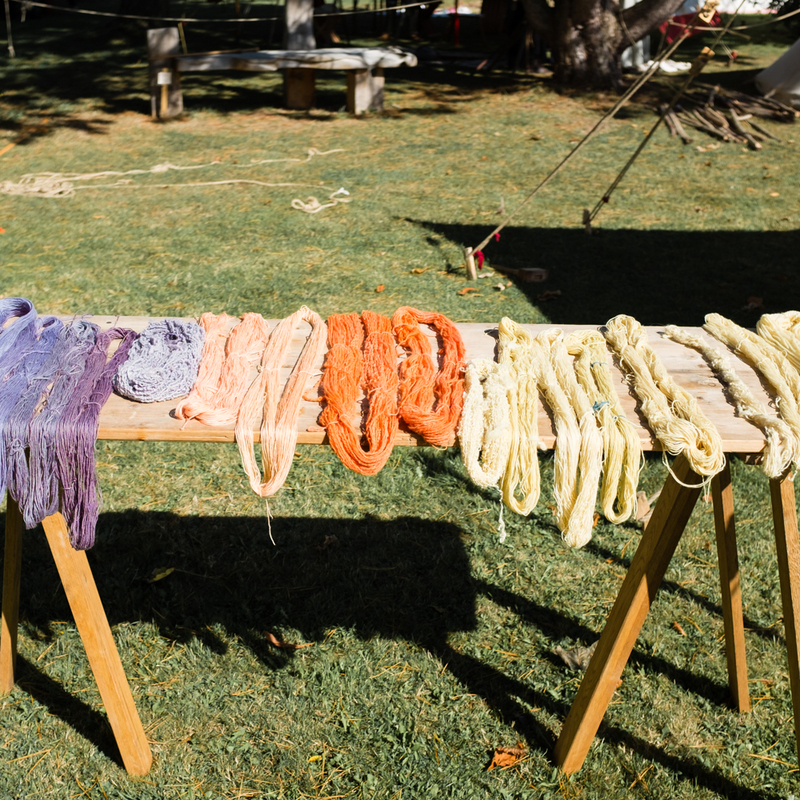 Throughout the day members of the public can walk through the camp learning about the different elements of campaign life and chat with our members about Medieval crafts and skills from the craftspeople in the society. 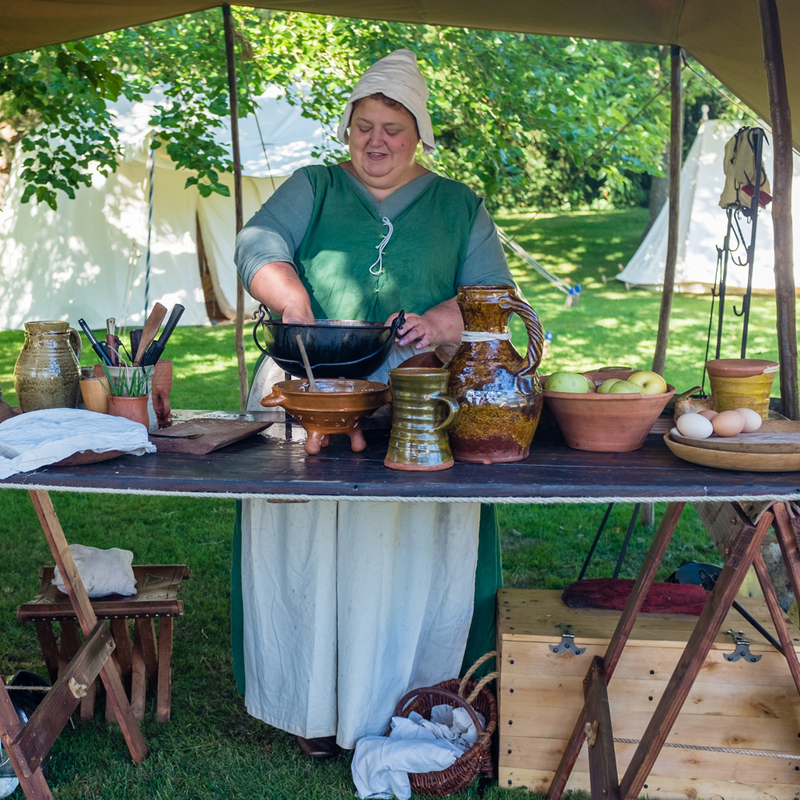 You may come across soldiers, archers, and see how arrows were made by skilled fletchers, and watch medieval food be prepared. 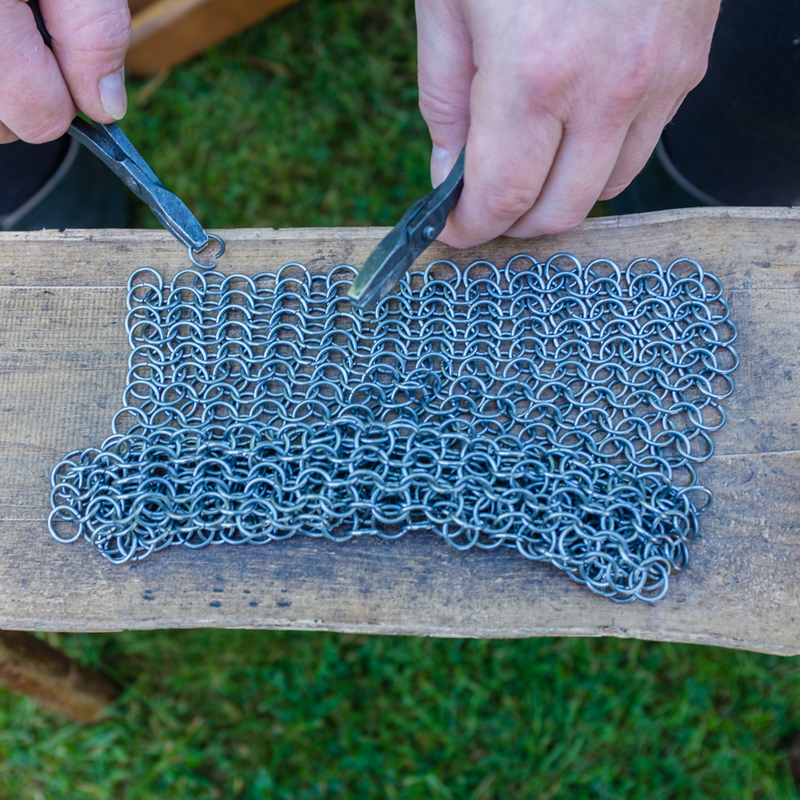 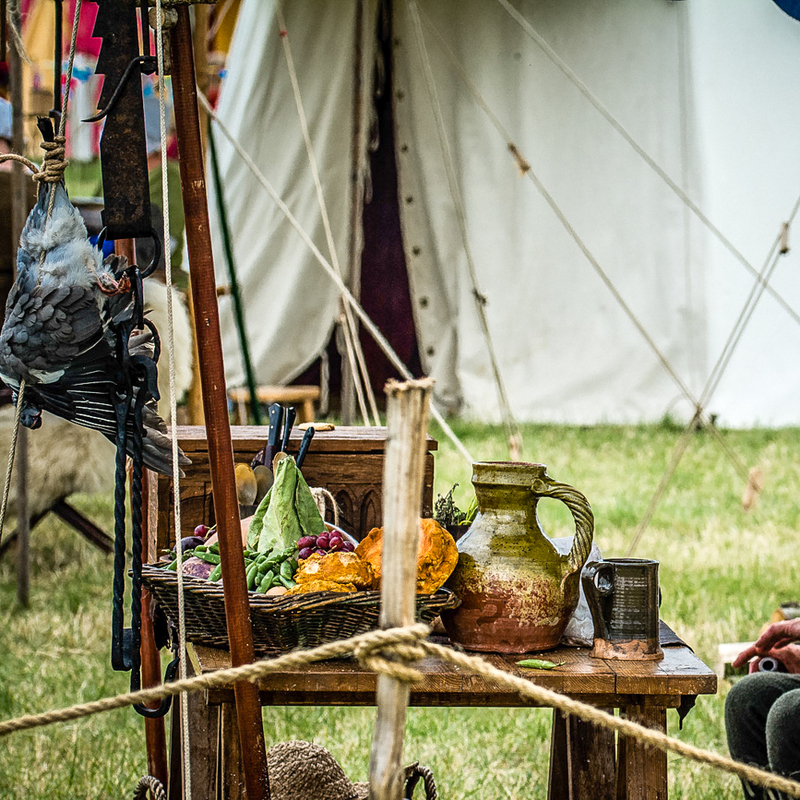 We also have several members who are historic traders who make and sell various replica historical items, and often trade at our re-enactment events. 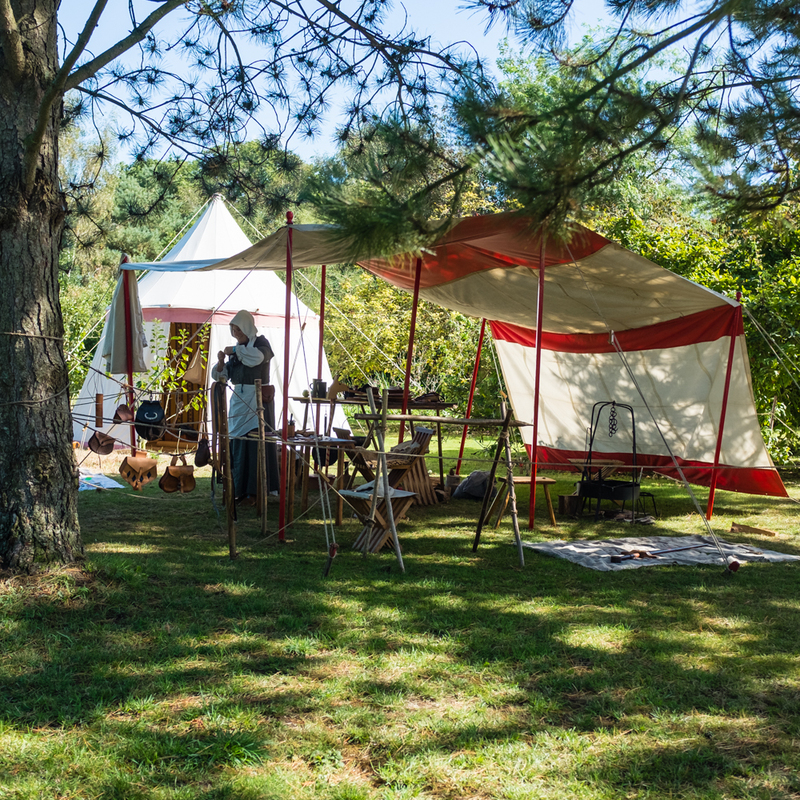 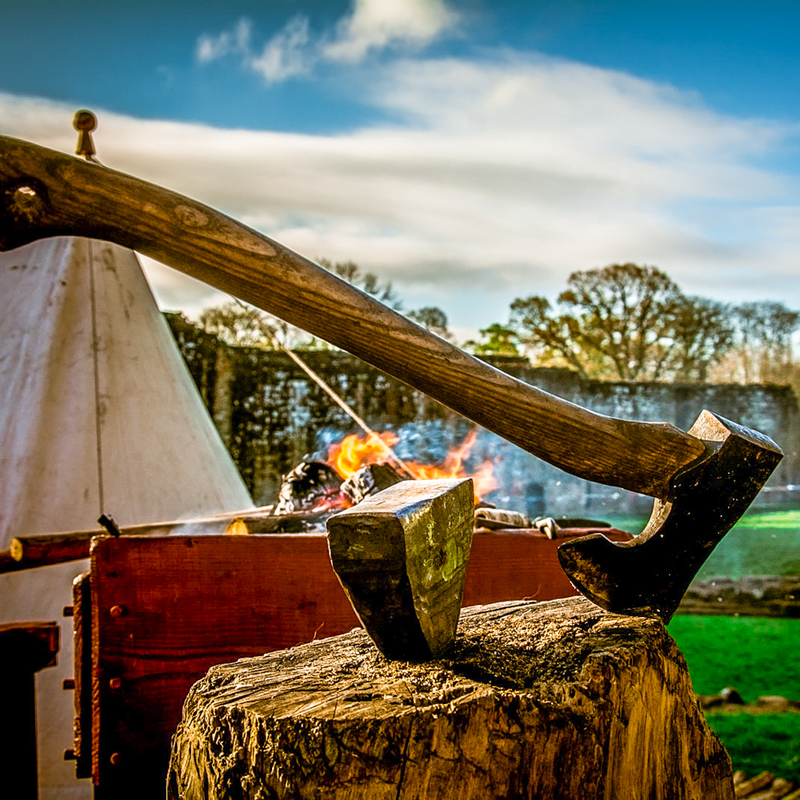 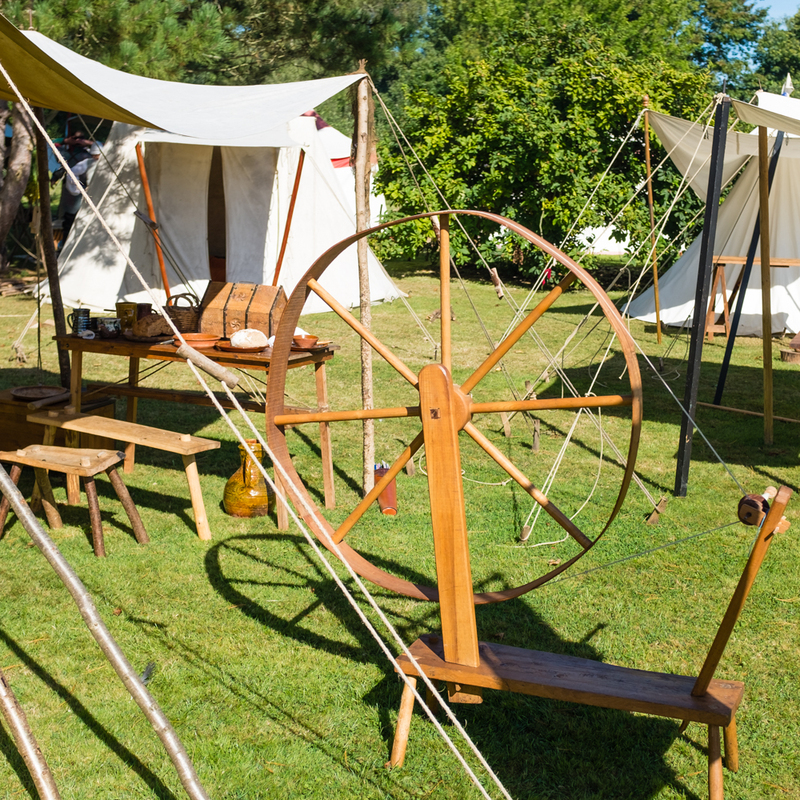 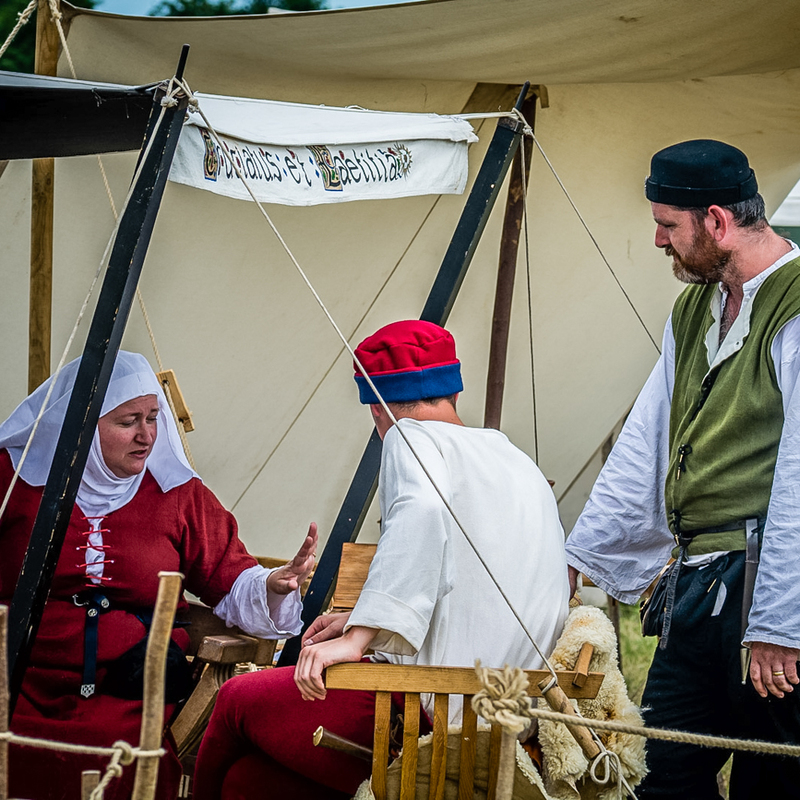 Our encampment includes a colourful array of authentic style medieval tents replete with banners, musicians, cooking fires & soldiers’ families who provide a continuous backdrop to the events of the day.